Kate S. of Lincoln, Nebraska was taking a nice long walk in the woods, while looking prim and polished. 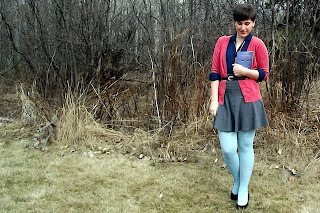 She's seen here wearing the Pastel Mint We Love Colors tights. We're loving your color combination, Kate! Thanks for sharing your look with us!